Is there something in the water these days, or what? Back when we started the Aggie Awards, we could count on an annual group of 70-odd adventures or so. And then came last year, with a ridiculous 115 games! Surely that was an outlier, and back to normal this year, right? Such impressive growth is great news for adventure gamers, of course. There’s more diversity, more choice, and just plain more options than ever! But we’ll admit, it makes our award selection that much harder. We’ll never complain about too much of a good thing, but it does mean that the competition has never been more fierce to claim the year’s top prizes. As usual, even just paring the lists down to five was painful, with a great many excellent games just barely missing the cut. So our congratulations go out to ALL the fine developers who contributed to our gaming enjoyment the past calendar year. You’ll need to wait a little while longer for the ultimate Aggie Awards presentation, which will run from Wednesday, February 21st to Friday, February 23rd. That leaves you just enough time to mull over our lists of nominee finalists below, and then cast your vote in our upcoming reader poll to tell us how wrong right we are. We’re sure this doesn’t need saying, but remember that this is all fun and games – literally! There are no losers here, only winners deserving of praise. (With more still to come for those not named here that will walk home with a Silver Aggie.) These awards exist only to celebrate excellence, so kick back, enjoy, and join us in acknowledging the year’s best and brightest adventures. One of the core components of any adventure, the game’s narrative must engage the player’s interest and imagination. Entertaining in its own right, a good story also immerses the player in a believable game world and serves as motivation to overcome the challenges presented. While often accompanied by quality writing, the plot is a distinct feature that may or may not be ably supported by the actual dialogue – if in fact it has dialogue at all. Arguably the hardest genre to write well, comedy done right has the ability both to amuse and uplift, finding humour in the ordinary and laughter in the unexpected. Often dismissed for not being “serious writing” (oh, the irony! ), comedy has long been a beloved adventure staple and deserves appropriate recognition. If comedy lifts the soul, then drama explores and challenges it. Though sometimes misrepresented as dry and boring or overly theatrical, a gripping drama simply engages players on a deeper emotional level. Quality writing is essential in maintaining the player’s connection to the characters, game world, and the story unfolding. Gabriel Knight... April Ryan... Guybrush Threepwood. These names roll off the tongue of any adventure gamer as a testament to the importance of compelling protagonists in an adventure. But just as important are the villains, sidekicks, and significant supporting characters, which are often the juiciest parts. This category recognizes those who have made the most memorable contribution, regardless of role. Puzzles are an integral aspect of adventure gameplay, but not the only one. Good pacing, rich exploration, and variety of activities are all factors in player enjoyment as well, all suitably integrated into the storyline. The best games seek the right balance of these elements for the most rewarding gameplay experience, whatever the approach. Adventures can transport us to memorable places we’ve never been before, including those we never even imagined. Or perhaps to locales inspired by real-world locations, but never quite like this, making them feel fresh and new and awe-inspiring all over again. In these games, the setting is like an integral character of its own, inseparable from the story taking place within its borders. If a picture is worth a thousand words, this category speaks volumes. Regardless of style, this award recognizes games that are not only visually attractive but stylistically distinctive. One look at a screenshot should elicit not only jaw-dropping admiration, but intuitive recognition of the game to which it belongs. 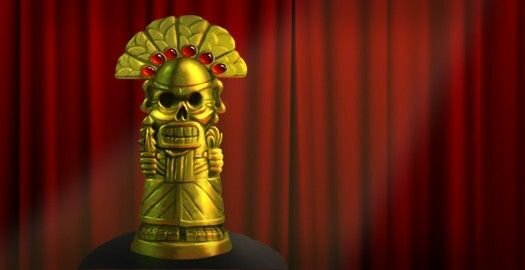 This award includes both game world and character design, but not cinematics. From “bustling” city streets that look deserted to clouds that never move, animation is rarely the genre’s strong suit, often the victim of budget constraints. But richly animated adventures add so much to player immersion that any game that goes the extra mile in this area is deserving of appreciation. This category includes in-game character and ambient animations, plus cinematic cutscenes. As a complementary element playing in the background, often a game’s music is noticeable only when it becomes intrusive, but a strong score and attention to timing can add so much to the ambience. Dramatic escalations can heighten tension at just the right moments, while a catchy theme song can make a soundtrack truly memorable, and an in-game number even more so. Whatever its particular strengths, the game that excels musically deserves its accolades, even if its impact is subtle. Often under-valued by publishers but never by gamers, good acting can enhance a player’s investment in characters as surely as poor acting can ruin it. With so much international localization, voice-overs can be difficult to skillfully oversee, but any game benefits greatly from proper direction and believable acting. Live acting, meanwhile, adds an entirely new realistic dynamic, but the added realism makes it that much harder to pull off successfully. This category refers to the overall quality of performances in a game, not to individual characters. As with animation, sound effects are frequently given short shrift in adventures, but effective use of audio adds a vital layer of moody ambience. You may not be able to put your finger on the reason, but some games make you feel like you’re really there, and often the atmospheric sounds have drawn you in subconsciously. Okay, we're not really naming names just yet. What we can tell you is that, of the many titles that aren't winning a golden Aggie statuette, either because they just fell short or were never actually eligible, a handful of other great games won't be going home empty-handed. With categories like Best Episodic Debut, Best VR Adventure, Best Kept Secrets, and the ever-controversial Best Not-Adventurey-Enough Adventure, to name just a few, there are plenty more surprises in store! For a genre that’s remained largely unchanged for decades, it’s actually got a rich history of experimental titles that push the creative envelope in unique, memorable ways. They don’t “evolve” or “redefine” adventures, but rather expand our understanding of what an adventure can be with their bold vision. Purists may resist, but this award honours those games that stretch beyond traditional genre conventions to offer something completely new, or at least present the familiar in imaginative new ways. Why mess with a good thing? While innovative adventures provide a welcome breath of fresh air, the lifeblood of the genre continues to be the many games that closely adhere to the comfortable, tried-and-true design formulas. Full of inventory and/or logic puzzles, memorable character dialogue, epic storylines and immersive exploration, they may not have changed much since Monkey Island and Myst – or even the original Zork for some – but they’re no less enjoyable when done well. Nice try. No sneak peeks at the year’s final champion! (Smart money says it’s one of the Best Non-Traditional or Best Traditional games, though.) Tune back in February 23rd to find out! Lisssn is on the list but was released in 2018. Lisssn was released on the Mac App Store in December. You need to be logged in to post comments. Not a member? Register now!